Mid-American Air center is sitting on over 3,000 acres of land which is mostly used as lease ground for crops. Additionally the airport has set aside roughtly 160 acres of land for industrial developement. In the airports industrial yard lies Foreign Trade zone #146 which sits only minutes from HWY 50. Below are some of the locations we have on site. One of the biggest benefits of having a foreign trade zone, is the ability to move goods in and out of the country without having to pay U.S. duties. When importing goods for a business this can prove to be quite useful. Sheehan Pipeline has been around since 1903, and currently has a location in our Industrial yard. Being around for more than 100 years, they are the nations oldest pipeline company. Kauffman Engineering Inc has been around since 1973 and specializes in electrical applications. They supply electrical wiring harnesses, lead wires, cable assemblies, populated circuit boards and molded plug assemblies. Bestway trucking has established a training school to help new truckers aquire their CDL licenses. They have a classroom in the terminal building and a training ground on a unused section of the ramp. USA Aero Refinishing has been around for mor than 15 years and specializes in aerocraft painting. They can do interior, exterior, full paint jobs, and restorations. Vieke Aviation has been around for many years and can handle many kinds of aerocraft repairs. 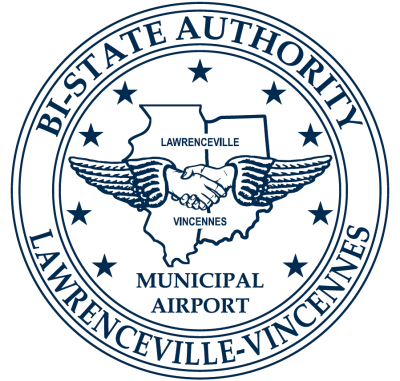 Their phone number is (618) 943-5547, and they are located one hanger down from the terminal building.